My new book, Yoga’s Path to Weight Loss: A Mind Body Spirit Guide to Loving Yourself Lean is now available. This holistic approach to weight loss will help you lose weight permanently, get glowing skin and love yourself more! 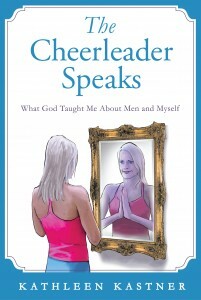 Throughout her life, Kathleen felt men tended to stereotype her in the “cheerleader” category, but her soul wanted more out of her relationships. Kathleen’s story is a FUNNY thirty-year chronicle of her dating blunders, from the third grade until she miraculously met her husband at the age of 39 in a yoga class. Her inspiring story reveals the lessons she felt God was trying to teach her with each new dating experience, especially the lesson of Self-love. This book will make you laugh and reflect on your dating patterns in order to help you attract the person who is right for you. Remember, God always has a plan for your life and your partner. Now that’s something to cheer about!